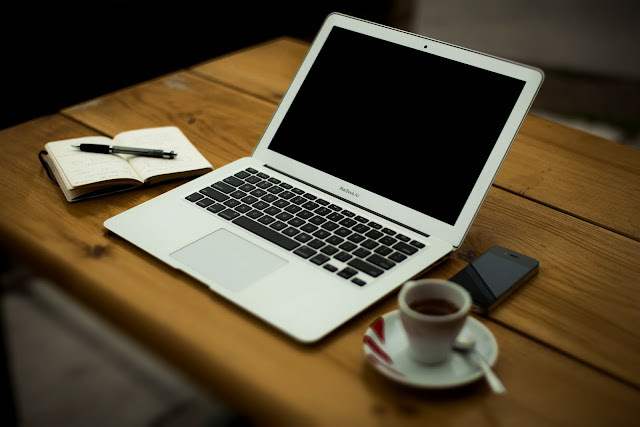 Essay writing is a challenging thing to people and they used to struggle with writing a good piece of work when someone asks them to write an essay. Without a doubt, even a professional essay writer can find essay writing as tough at times. It is very important for people especially students possess writing skills and good knowledge in writing. There are many people who are able to improve their writing skills and knowledge if they get tips and stimulation from others. Books can help people to improve their knowledge and skills in writing. A lot of expert writers have produced books about the importance of essay writing and teaching how to improve essay writing. The book, Writing Skills: Success in 20 Minutes a Day is written by Judith F. Olson. The author offers some basic knowledge about writing. The writer of the book mentions that writing well isn’t a skill that is inbuilt in a person but it is a skill that you gain through every day effective practice. The book is written in order to help people regardless of their age to attain essay writing mastery by means of a simple 20 step program. Each stage of 20 step program need just 20 minutes a day. 20 step program portrayed in the book cover all the very important writing skills, from capitalization, problem verbs and pronouns to the basics of writing style. The book, Modern Writing Skills Paperback, is written by Terry O' Brien. The book provides the many shades of modern writing skills. The book covers many aspects of writing such as creative writing, writing in the workplace, dialogue writing, writing a novel, story writing, writing emails, persuasive writing and much more. The writer offers tips for all types of writing and you can recollect many things that you studied in your school days about writing by going through this well-written book. The book, Speak Better Write Better, is written by Norman Lewis. Norman Lewis is world’s one of the well-known authors and grammarians. The book offers diverse programs to develop one's grammar and improving grammar will help people to express their thought, ideas or opinions while speaking and writing. The book helps people to understand how to enhance your vocabulary, evade pronunciation errors, hone your spellings, develop your grammar and express your thoughts clearly and in the accepted manner. The book offers tips to people to avoid errors in grammar, misspelling and mispronouncing of words and over-usage of similar words repeatedly. The book, The Elements of Style, Fourth Edition, is written by William Strunk Jr. The book tries to teach the principles of English writing styles to millions of readers. The book can make a big impact with writing in the readers. The author gives details of the essentials of writing clear and correct English. The book will certainly aid you to make the most of your writing and the book will offer a great help to people who are not well-versed in grammar and composition. The book is a perfect choice for people who would like to better their writing skills as it offers handy advice to people that aid them to turn badly written sentences into rich and potent pieces of writing. The book, On Writing Well: The Classic Guide to Writing Nonfiction, is written by William Zinsser. The book can help everyone who wants to learn how to write and also who wish to do some writing to use up the day efficiently. The book will help people to write well in the era of e-mail and the Internet. The writer of the book presents you basic principles as well as the insights of an illustrious writer. The book can make your writing about different genres easy including people, places, science and technology, business, sports, the arts and much more. The book, The Gift of Writing: 10 Ways to Share Your Heart, Nurture Your Relationships and Leave a Legacy, is written by Sharon Rose Gibson. Reading this book will assist you to put across your ideas, tips, and support to share your heart, care for your relationships and leave your own legacy when it comes to writing. The book can help you with writing great quotes, words of wisdom, poems, and stories that have the ability to enhance writing and make an impact on your overall writing. The book is full of creative ideas to make use of the power of one’s written words and offers you a tip from simple gratitude notes to writing stories. The book, Do I Make Myself Clear? : Why Writing Well Matters, is written by Harold Evans. The book tells about the importance of using the right words in writing. The writer mentions that right words are oxygen to our ideas and clarity of writing is what makes a writing stand out. The book says that editing and rewriting can make the book better and is better communication, even in the modern digital era. The book, Bird by Bird: Some Instructions on Writing and Life, is written by Anne Lamott. The book offers the author's innovative knowledge about how to write. She narrates her personal experiences to unveil her writing methods and how she trounces obstructions that get in the way with the writing flow. Lamott deals with how to get started, admitting the troubles of a first draft, and writing in groups, writer’s block, how to understand when you are completed and more. The book, The Writing Life, is written by Annie Dillard. The book enlightens the commitment, silliness, and the subsistence of a writer. With Dillard’s own experience, the book provides profound insight into writers and their profession. The writer says how to live a life in which you write and seek to make with words on a page. Dillard offers a unique insight into what it means to be a writer in a manner that is reachable and related to both novice and experienced writers. The book, Zen in the Art of Writing, is written by Ray Bradbury who is a prolific author of novels, stories, poems, films, and play. The writer shares the knowledge, writing experience, and enthusiasm of a lifetime of writing. The writer offers handy tips on the art of writing, how to find original ideas, how to develop your own voice and writing style. Without a doubt, books can help people to improve their writing, skills, and knowledge in writing, thoughts, imaginations, etc. You can get a lot of books from your nearest library or from online sources that let you become a good writer. The above mentioned are some of the best books that you can depend on to enhance your overall writing. I am Susan Taylor. I love writing and it is the main reason that guided me to choose a career in freelance writing. Presently, I work for a best custom essay writing service online which helps me to improve my writing knowledge and skills. I also love writing articles for blogs and content for websites online.